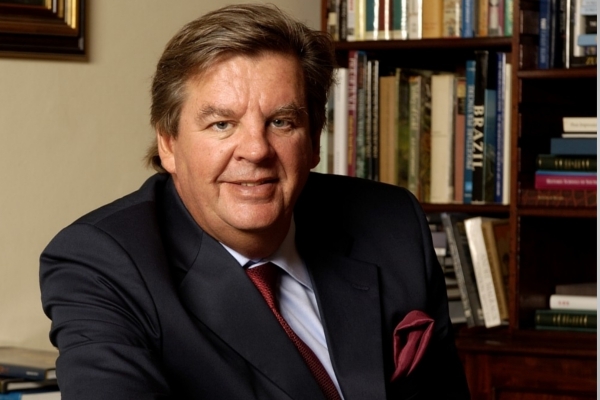 South African billionaire Johann Rupert made a rare public appearance as a guest on Power FM’s annual Chairman’s Conversations this week, providing some insights into his personal successes, as well as his views on the current state of South Africa. In his appearance, he explained how his family’s wealth was built, starting with his father (Anton Rupert), who started with 10 pounds – and later 100 pounds in the family garage, with his mother as company secretary. Over time, the Rupert family built up a net worth of over $5 billion (over R70 billion), with holdings and interests in almost every sector of the economy. Host, Given Mkhari noted that between the average South African waking up and going to sleep, they would have likely interacted with a product or brand that the Ruperts had an interest in. Strategic planning comes next – however the billionaire noted that all the strategic planning in the world would fall apart without attention to detail and proper execution. Rupert also highlighted the importance of disruption, telling the story of how he and other businessmen disrupted the banking sector with Rand Merchant Bank, which approached big companies in the 70s with offers that undercut the standing banking groups, which Rupert said had formed a cartel. “They (the big banks) charged a minimum rate on bankers acceptances, so we developed a thing called a promissory note – which was really a bankers acceptance in disguise,” he said. Rupert also noted that patience was important, as it took a very long time for the business empire to build up and to turn cash-flow positive, saying that it took 30 years for his father’s business to reach that point in 1978. Two of the most controversial comments of the evening, relating to building financial wealth, came when Rupert said the early generation of Afrikaners from which he was descended were “driven” and had raised themselves up by “studying like crazy and saving like crazy“. “They didn’t go and buy BMWs and hang around at Taboo and The Sands all the time,” he said. This comment drew laughter and applause from the audience, but was seen by many on social media as being condescending. Rupert clarified that he wasn’t speaking about anyone in particular, but people in general. Rupert’s appearance was not without controversy, with the executive facing questions about accusations that he was the poster child of ‘white monopoly capital’, with his family benefitting from apartheid. The billionaire rejected the claims, and challenged his accusers of pointing out one monopoly among the businesses he’s invested in. Instead, he said, people should look to the state. He added that even with his family’s holdings and interest in so many products and brands that South Africans interact with, the government, through the PIC, has double the stake – if not more – in the same things and beyond. Rupert was candid about South Africa’s problems, saying that the country was in a bad place – adding that the rest of the world doesn’t really care. He said that South Africans needed to stop shouting at each other and come together to find solutions – and to stop putting their hopes in politicians to sort the problems out. “If we don’t talk and listen, across the board, I’m not sure that we as South Africans can rely on politicians,” he said.